(Al Hartmann | The Salt Lake Tribune) Downtown Salt Lake City was visible (just barely) from the foothills east of the city Friday Dec. 15. The air quality is better than earlier in the week after a weak storm front blew in. In the thick of Wasatch Front air quality problems last week, many residents looked out their windows and asked: Is it really so polluted I can’t see across the street? Or is that just fog? The answer is complicated. Fog is mostly what obscures visibility. But pollution is at least partly what is causing the fog. After an inversion settled into the valley early last week, visibility plunged, and Salt Lake County exceeded federal standards for small particulate pollution on several consecutive days, climbing into the “unhealthy” or red air quality range. A weak cold front then blew much of the hazy, polluted air out Thursday, and with storms forecast over the weekend, Utah’s air should stay clearer for at least the next few days — until the next soupy inversion sets in. 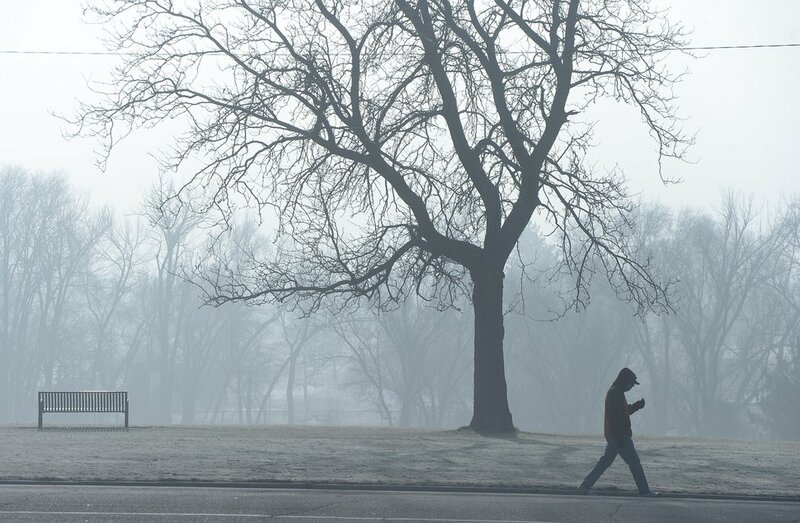 (Al Hartmann | The Salt Lake Tribune) A man walks through a ghostly scene at Sugarhouse Park on Monday, Dec. 11. The temperature drop brought with it an inversion that clouded the city. Fog, of course, is made of thousands of tiny droplets of air-borne water vapor. When the air is humid enough, water condenses around little grains of dust — or whatever else might hanging in the atmosphere — to form a visible mist. In northern Utah, inversions create the perfect conditions for forming fog. Wintry weather often combines with the Wasatch Front’s geography to create these inversions, where warm air traps colder air over the region’s valleys — along with everything airborne, including tiny particles of pollutants. These particles are so small that they are able to bypass defenses of the human respiratory system and become lodged deep within the lungs, where they act as an irritant and, with repeated exposures, potentially cause permanent lung damage. It turns out, particulate pollution also attracts water vapor. The inversion also helps accelerate the process because pollution isn’t the only thing that gets trapped when Wasatch Front air stagnates. Though it may seem cold and dry, humidity also builds up gradually in the air as the inversion persists. Soil, snow, plants, even cars all release small amounts of water vapor and, over time, this vapor, like the pollution, accumulates beneath the inversion, Struthwolf said. Mist, however, doesn’t necessarily mean the air is polluted, Struthwolf said. Though fog will typically form during an inversion, it can also occur without it. So how do you know if that misty air outside is polluted? There’s little visible difference, Struthwolf said. Both fog and particulate pollution reflect light — fog more so than the pollution — which results in that grainy, misty murk that obscures visibility. Fog also can interfere with pollution sensors, said Bo Call, who oversees air monitoring for the state Division of Air Quality. (Rich Kane | The Salt Lake Tribune) Bo Call, head of air quality monitoring for the Utah Division of Air Quality, explains how the state's air quality monitors work while visiting a monitoring site near Rose Park. Ice and fog can interfere with the monitors' real-time feed, so the division has to remove the filters and take them back to the lab to double-check the accuracy of their data. Some air monitors, called particle counters, use lasers or other means to count particles to measure their concentration in the air. But fog can artificially boost those measurements, making it seem the air is more polluted than it actually is, Call said, when monitors erroneously count water droplets as pollution. Other monitors that use filters to trap and detect pollution are typically more reliable, but may also experience difficulty during fog. 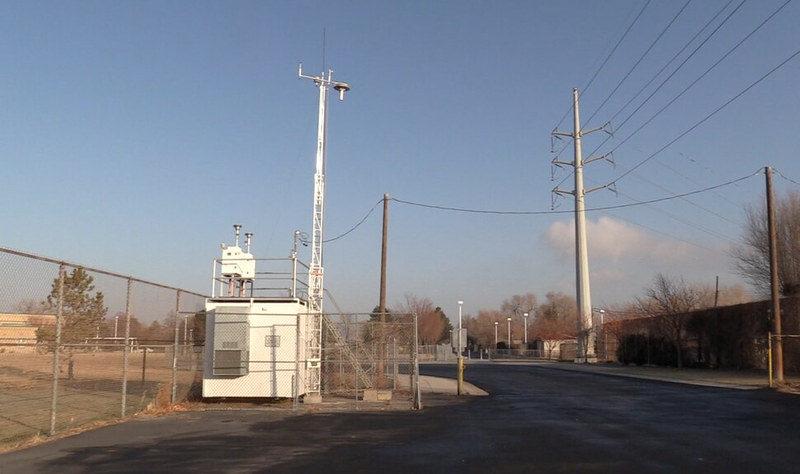 (Rich Kane | The Salt Lake Tribune) One of the state's air quality monitoring sites, this one located near Rose Park. Ice and fog can interfere with the monitors' real-time feed, so state scientists visit these sites regularly to remove the filters and take them back to the lab to double-check the accuracy of their data. 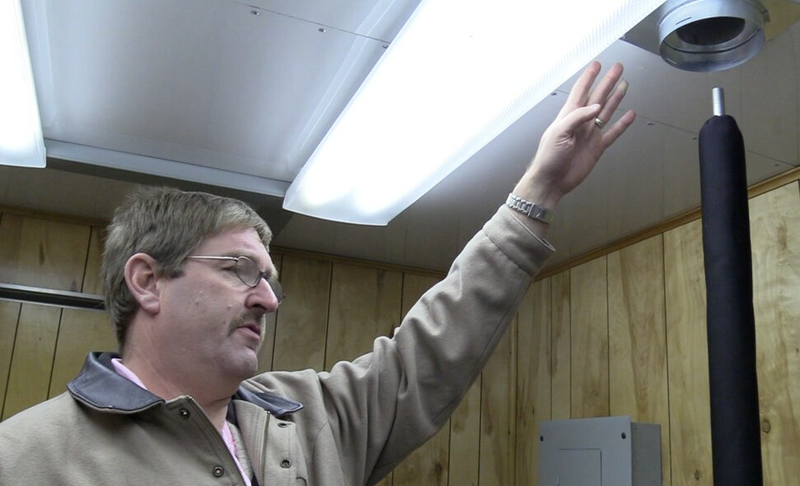 (Rich Kane | The Salt Lake Tribune) Bo Call, head of air quality monitoring for the Utah Division of Air Quality, points to filters in an air quality monitor near Rose Park. 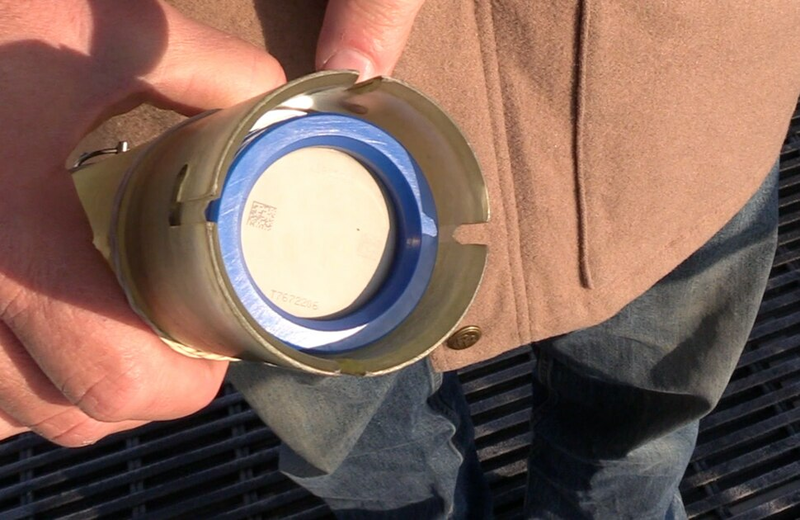 Ice and fog can interfere with the monitors' real-time feed, so the division has to remove the filters and take them back to the lab to double-check the accuracy of their data. (Rich Kane | The Salt Lake Tribune) Bo Call, head of air quality monitoring for the Utah Division of Air Quality, holds up a filter from one of the state's air monitors. Ice and fog can interfere with the monitors' real-time feed, so the division has to remove the filters and take them back to the lab to double-check the accuracy of their data. 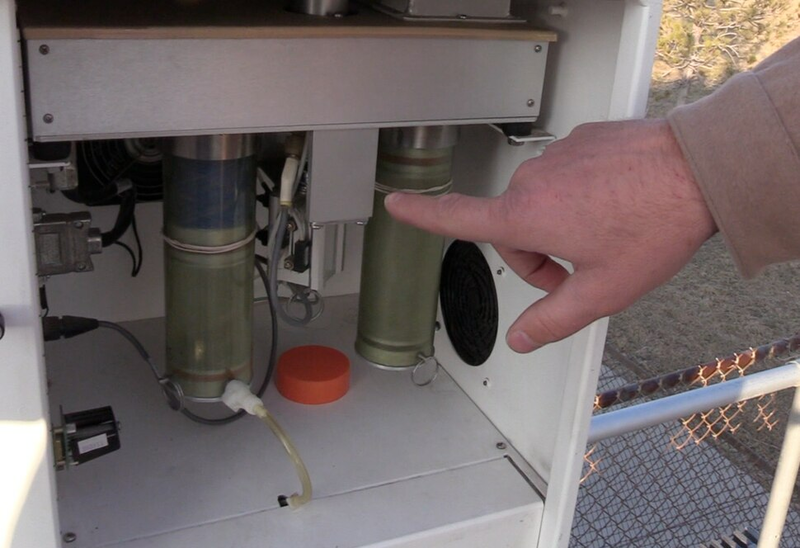 (Rich Kane | The Salt Lake Tribune) Bo Call, head of air quality monitoring for the Utah Division of Air Quality, compares a clean air monitor filter (bottom left) to the old filter it will replace. Ice and fog can interfere with the monitors' real-time feed, so the division has to remove the filters and take them back to the lab to double-check the accuracy of their data. Most of these problems occur in monitors that report air quality levels in continuous, real-time data feeds, which the state in some cases makes available to the public. To correct for these errors, the DAQ regularly removes and analyzes monitor filters in a laboratory to verify the accuracy of the real-time data. If you can’t wait for the data check, the best way to determine whether that fog is the dirty polluted kind or regular old water vapor may be to check the weather forecast, Struthwolf said. It takes time — usually a few days — for an inversion to trigger fog formation, the meteorologist said. On the other hand, humid, stormy weather may also form fog. So if there’s been a recent storm, Struthwolf said, the fog is probably pretty clean. But if the weather has been cold but clear for several days, it’s probably polluted.